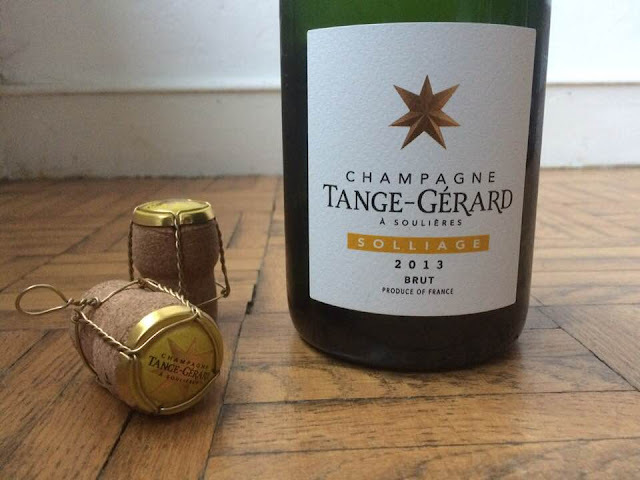 Today is the day we have waited for very long at Champagne Tange-Gerard. When you read this, we have just presented our new champagne which is the first member of a new and second range. The singles line will join what from now on will be known as the classic line. Now, say hi, meet the world, Cuvée Solliage :-) World, please welcome our little bubbly one. So what is different then ? The singles line... that's were you will find this latest member of the family and the first one where the main shared feature is singularity. Read more about the new champagne here (with fact sheet) and find information about the general ideas of the singles line here. The classic line... that's all the different champagnes you have met this far. Find them all here, and read about the general ideas of the classic line here. Based in Champagne, we have many customers turned friends and friends turned customers in Copenhagen, which is why we have chosen this city to present our first single cuvée for people who has been helpful throughout our nine years of existence. We'd like to extend our range of action beyond Denmark and France. If you are interested, please don't hesitate to drop a mail to arrange how to possibly meet at your place or at ours for a taste and a discovery at our premises. As we have come from different worlds - France and Denmark - our daily work is to bring these origins and views together in our Tange-Gérard champagnes and in our daily work where we have made sustainability a key word of the management of our company. As for the bubbles, we enjoy them as much as ever, and our shared hope is to let them make your world spin in an easy-going fashion too. Champagne makes the world more fun, even just for a while, why not go for it ? Please send a mail if you want to know more. Enjoy, Alain Gérard and Solveig Tange.